For quite some time now, Drake has been rocking a small portrait tattoo on his upper right arm, and while the singer has stayed quiet about the meaning behind the ink, new reports indicate that the piece may actually be a picture of Rihanna! We all know that Drake has a thing for Rihanna, and the two have been playing the will-they-won’t-they game for as long as we can remember, a constant change from friends to collaborators to enemies to lovers that has resulted in some serious bad blood between Drake and Rihanna’s ex, Chris Brown. Is it possible that Drake, like Breezy, went under the needle to prove his love for RiRi in a more permanent form? 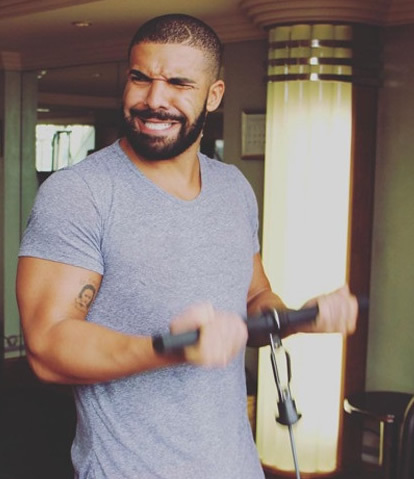 We first caught a glimpse of Drake’s arm tattoo more than a year ago, in photos of the 29-year-old hanging out with his buddy on a boat and frolicking on the beach with a mystery lady. 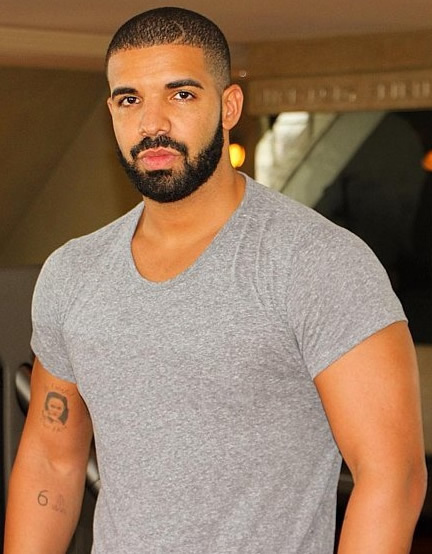 The piece is located on the upper part of Drake’s right arm, just above his “ALL KINDS” arm tattoo, and appears to feature a small black and gray portrait of Rihanna, designed after a photo of the pop star sporting wet, slicked-back hair and eating an ice cream cone. There is also text written above and below the Rihanna portrait, but so far we’ve had no luck making out what it says. 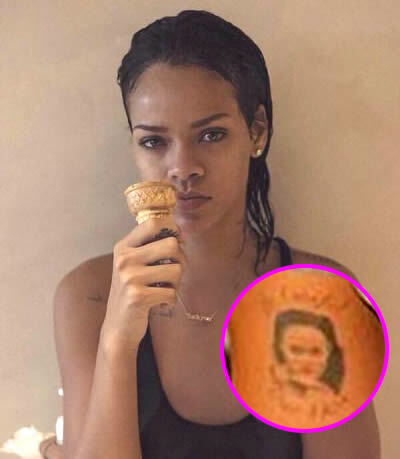 The photo of Rihanna eating an ice cream cone that Drake’s arm tattoo was apparently inspired by doesn’t appear to be all that significant, but according to reports, Drake has the very same photo hanging up in his Toronto restaurant, Fring’s, so it must hold some personal meaning for him. And if that doesn’t convince you that Drake is secretly in love with Rihanna and wants to make her his girlfriend for real this time, go ahead and take a stab at the pet nickname Drake has for Rihanna. That’s right, it’s Fring. So, now how many of you believe Drake’s tattoo on his arm is a tribute to Rihanna?? it very well could be a pic of em or me… enough said. i love him more than he’ll ever love me and i didn’t even know who drake was til here recently.. ad if u see this please call em. we need to talk.